We would like to introduce you to – Market Track v1.2 Forex EA Robot + memory file system. It has full options of properties. With this complex software you will should earn stable & solid profit. Since we have test it already live, it has proven that this is very serious tool to work with! With this excellent Forex EA Robot Everything is automated and has memory file system! It finds the spots where market is oversold or overbought by tracking the candles all the time. Check out the test screen shot: this test has been started at 2000.01.01 with 1000Eur and ended up in 2015.02.01 without draw downs with over 50.000Eur Profit. This is a serious trading tool, so it is prepared to work with live accounts. That is why it has memory functions. 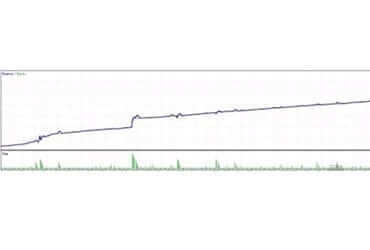 It creates memory log files in your MT4 folder, and if any error happens with MT4 platform or with your Internet connection it automatically backs it self up after the restart immediately and continues trading where it stopped, so you wont feel any problems with auto trading! EA uses unique money management control, you can turn on and off lot rising algorithm. This EA has trailing stop system as well! Choose your settings that fits your account size and pair you are trading at, or just use our default set file on H4 or D1 time frames. Turn on the visual EA system display and you will be able to monitor the trading processes in detail! 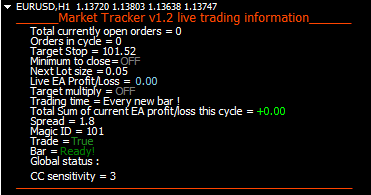 You can use this Market Track EA on multiple pairs at the same time, by separating them with magic number, so the memory files will differ as well. You can trade using candle count method for ex. : 3 up, and on 4 the EA will enter sell… You can reverse the trading system as well, by turning the EA from looking at retracements and start looking for breakouts. A lot of ways to customize this Forex EA Robot exactly to your needs! Check the settings window screen to see how well this EA is prepared for user interface. It is coded professionally, so the trades are always checked as well as lot sizes, sl,tp levels, so the EA never fails to enter the market correctly. This is the very useful tool that every Forex trader must have! It will perfectly serve for forex beginners or advanced traders as well, only thing you have to do is to set it and let it run – the rest this software will do! You can have it just for symbolic price, at least to support our developers, so we could share more great products in the future! 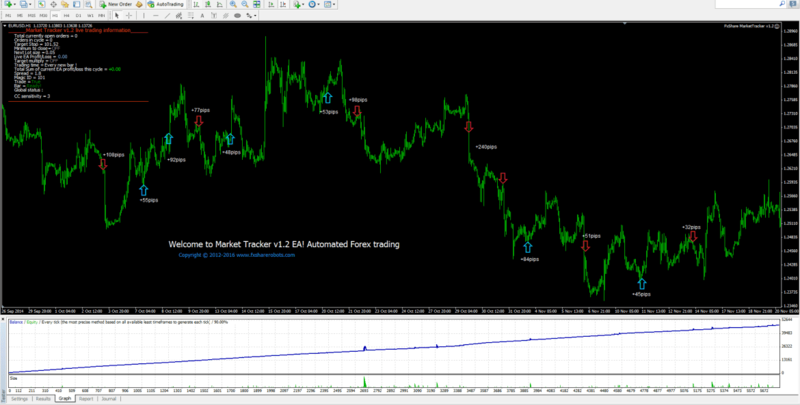 File includes: MarketTracker 1.2 Forex EA Robot and one .set file to test it out.